Adams Canyon is a beautiful canyon close to Layton, Utah. 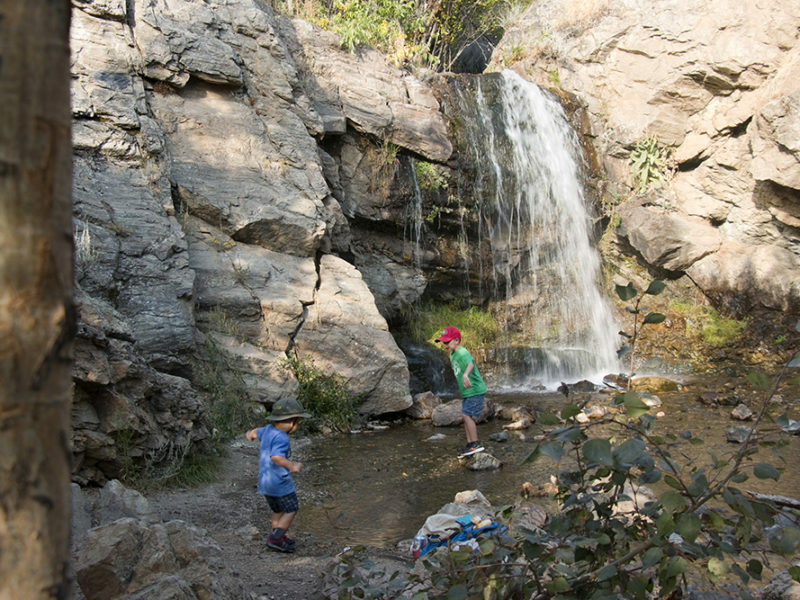 You can hike far into the canyon to see a big waterfall, but this one is a much shorter hike to the lower falls where there’s lots of open space to play in the shade; great for a picnic. 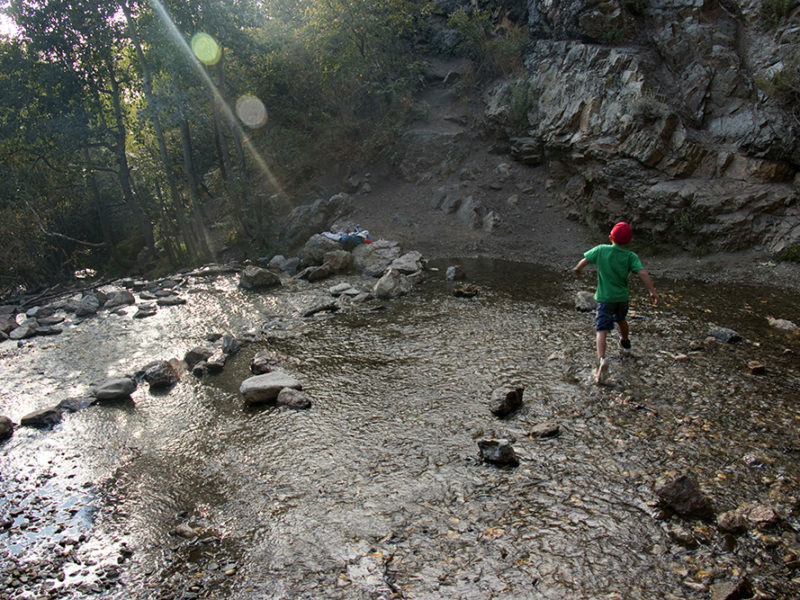 The water below the falls is shallow enough for safe play, even with little kids. The beginning of the hike is the hardest part, a quarter mile of switchbacks on a sandy, exposed trail. Once you get through 10 of them, you’re almost there. When you see a few forks in the trail after those 10 switchbacks, head to the right and you’ll find a steep-ish drop-off where the trail continues for a few dozen yards to the falls. 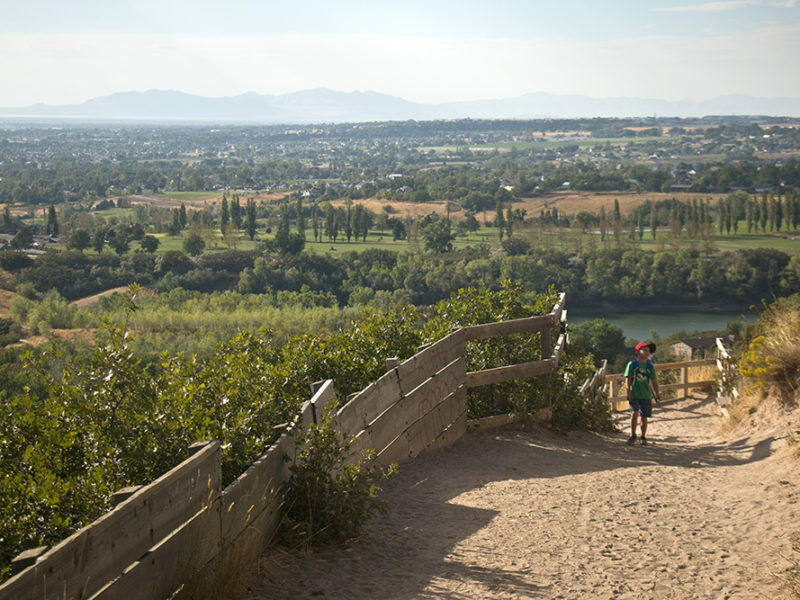 Kids will need help navigating down the steep part here, and some adults too. It’s totally doable for adults, but many will need to sit on their bottom to get down. 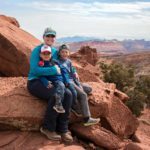 This part of Adams Canyon is a little lesser-known, we have often enjoyed time there with no other hikers. 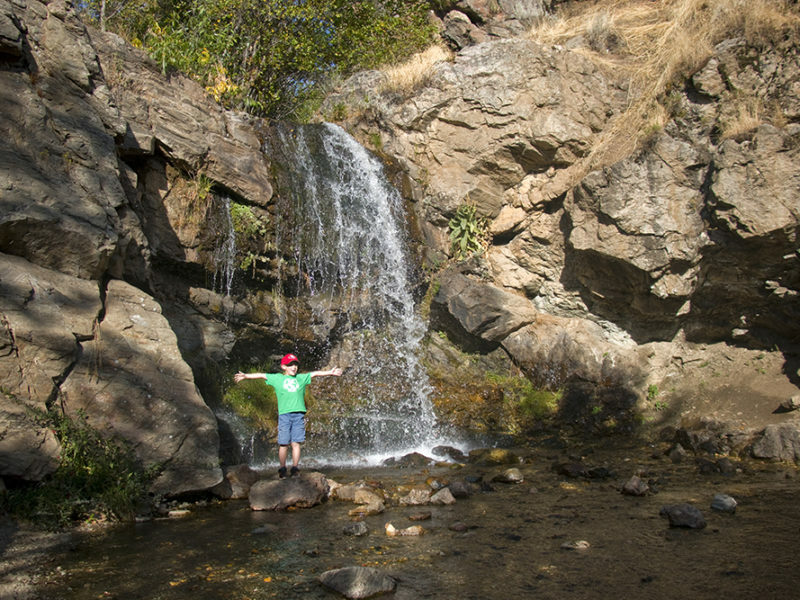 The waterfall flow varies depending on the time of year, but we’ve been told it doesn’t ever dry up. 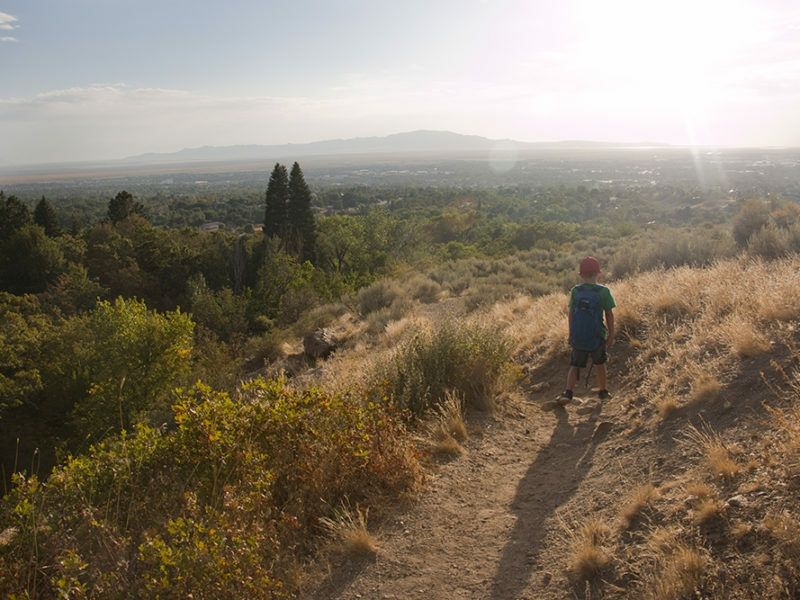 The beginning of the trail offers wide views of the Great Salt Lake and Antelope Island in the distance. It’s gorgeous at sunset too! There is a steep drop-off at a few spots. 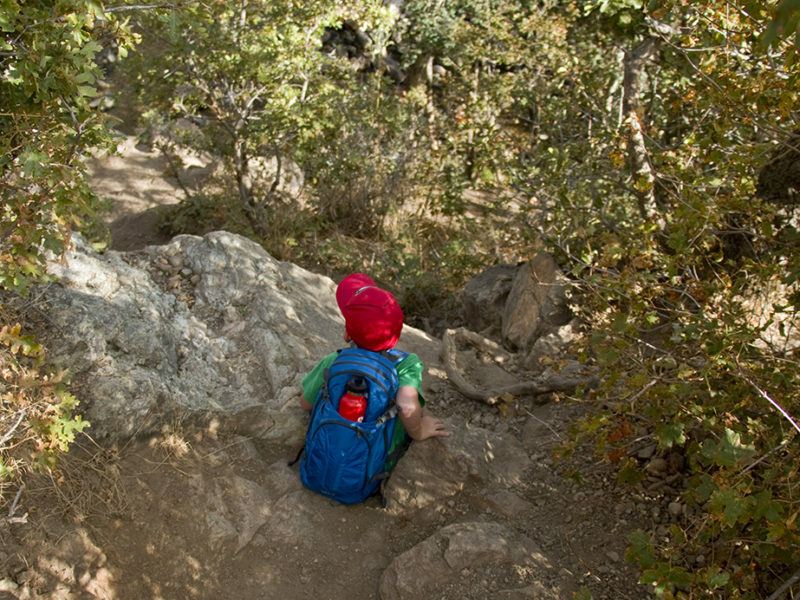 One small part of the trail is steep and kids may need help climbing down. 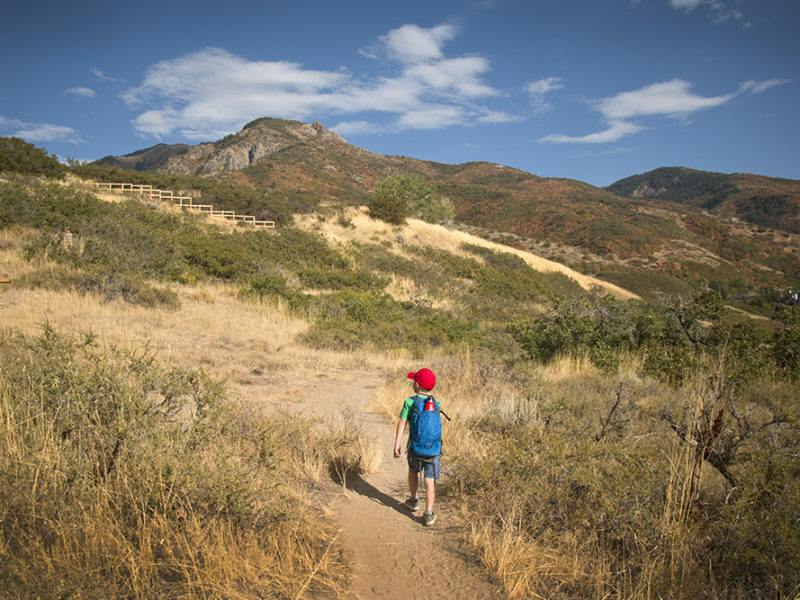 The beginning of the hike has no shade, so be aware of it in the summer. There are no restrooms at this trailhead. Dogs are welcome. There is plenty of parking at the trailhead.